The express aim of the book is to address the needs of MBA students opting for courses in Information Technology Management or Operations Management , MCA students who opt for Business Processes as an elective, and students of BE/B.Tech Mechanical Engineering and Production Engineering for courses in Process Engineering/Automation/Management System Design. The book provides them with the concepts, methodologies, models and tools needed to understand and implement BPR. In a nutshell, the book offers a step-by-step presentation of the practical framework and management techniques needed to achieve engineering solutions for implementation of BPR in an organization. The initial chapters introduce the reader to the need for BPR and its utility in relation to IT and manufacturing. The middle chapters cover the methodology, success factors, barriers, and the technologies that are relevant for BPR implementation. The latter chapters present solutions like lean and virtual manufacturing, enterprise resource planning, and functional information systems. An exclusive chapter is devoted to concepts and tasks of software reengineering. Aided by extensive illustrations, end-of-chapter review questions, as well as a chapter consisting entirely of case studies, this book will help students develop a rich, multifaceted perspective, to enable them to handle complex management and engineering problems. The book will be useful to students in practically all branches of engineering, not just mechanical/production/industrial engineering. 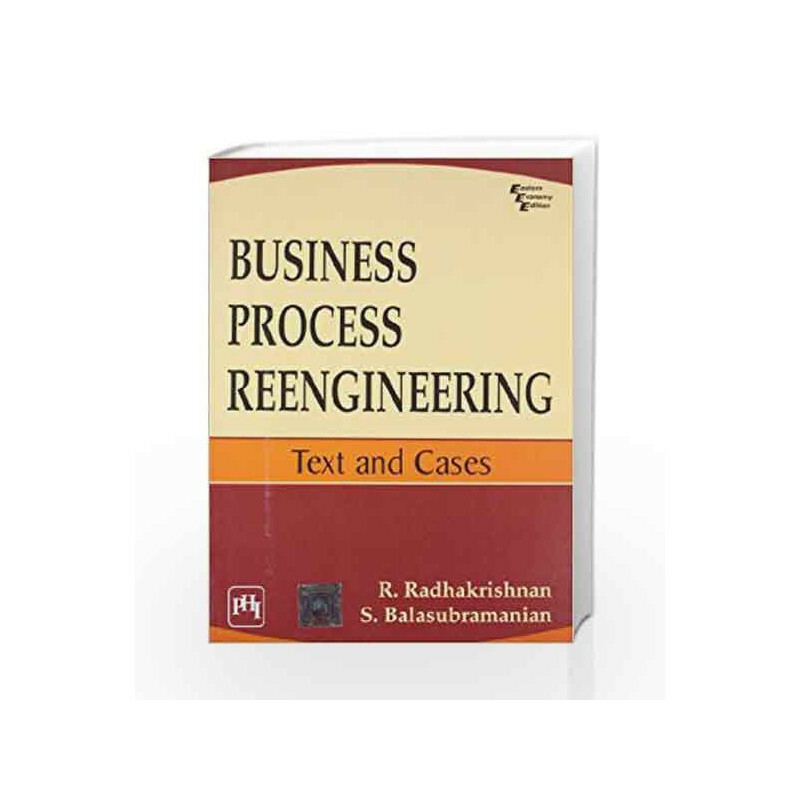 Business Process Reengineering: Text and Cases Book is not for reading online or for free download in PDF or eBook format. 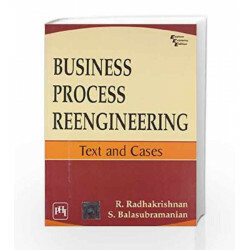 Table of Contents,Index,Syllabus,summary and image of Business Process Reengineering: Text and Cases book may be of a different edition or of the same title.